From an internationally acclaimed expert in the field comes a detailed, analytical and comprehensive account of the worldwide evolution of tanks, from their inception a century ago to the present day. 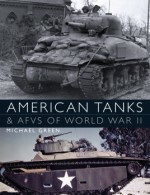 With new ideas stemming from the latest academic research, this study presents a reappraisal of the development of tanks and their evolution during World War I and how the surge in technological development during World War II and the subsequent Cold War drove tank developments in Europe and America, transforming tanks into fast, resilient and powerful fighting machines. From the primitive, bizarre-looking Mark V to the Matilda and from the menacing King Tiger to the superlative M1 Abrams, Professor Ogorkiewicz shows how tanks gradually acquired the enhanced capabilities that enabled them to become what they are today - the core of combined-arms, mechanized warfare.